We had so much fun with our book sale last spring that we have decided to do another sale this spring! 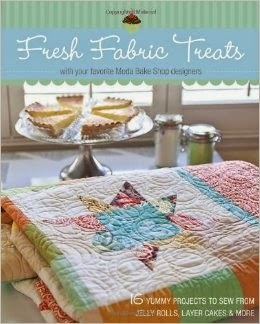 We have 19 different titles on promotion for only $7.99 each and the first sale book is "Fresh Fabric Treats". This book features 15 projects that begin with Moda precuts! Easy to follow instructions, vibrant photographs and clever tips will help complete these projects in a snap! We have 12 copies available!